Located in Brookhaven, one of Littleton’s finest neighborhoods, this home is a celebration of quality and style. Spacious rooms at every turn with quality outdoor living at its finest. Finely crafted woodwork enhances every room. Enormous great room and gourmet kitchen. Wood paneled study with fireplace sought after Main floor master suite with outdoor access. Three ensuite upstairs bedrooms with additional laundry. Extraordinary walkout lower level that is an indoor recreational utopia complete with private theatre, fully equipped exercise room, poker area and custom wet bar with wine cellar and a guest and bonus room opening to lower level patio. Brand new hot tub and fantastic outdoor playground with rubberized mulch in the play area. Over $150,000+ in all electronics including Control 4 system and camera security. 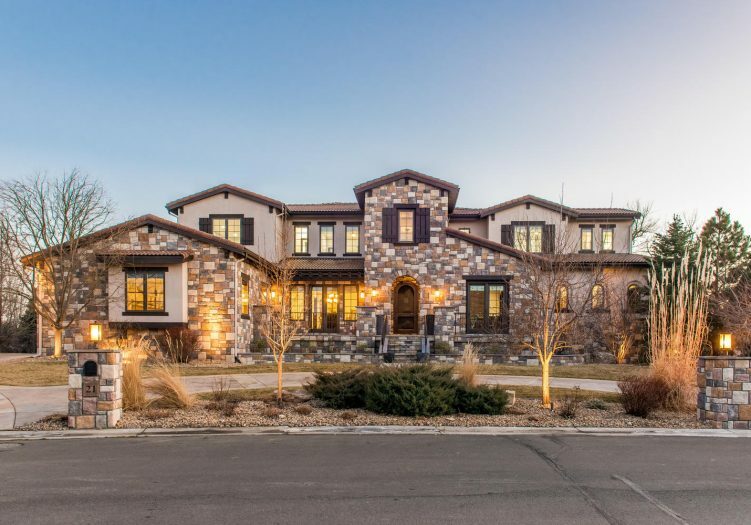 This is a turnkey home for the discerning buyer located close to Littleton’s finest schools and a golf cart ride away from Columbine Country Club’s new clubhouse.